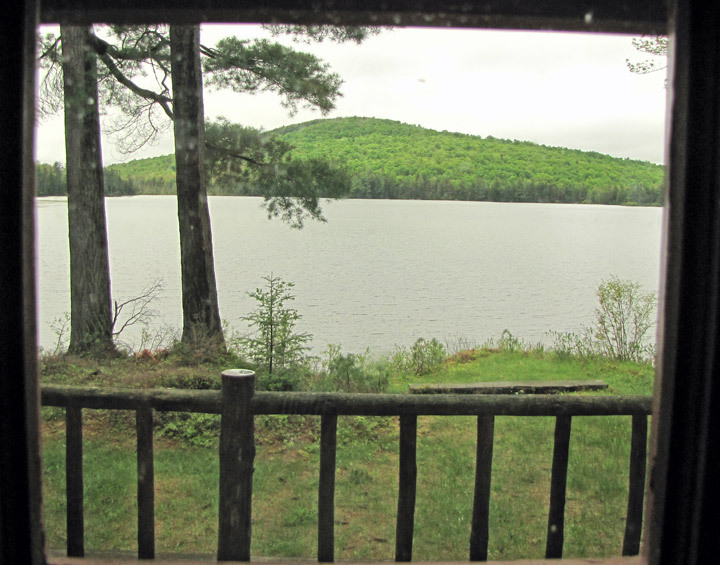 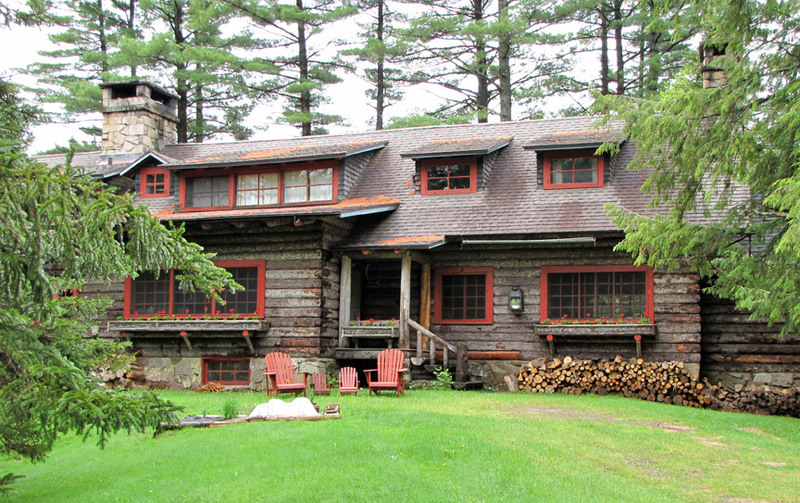 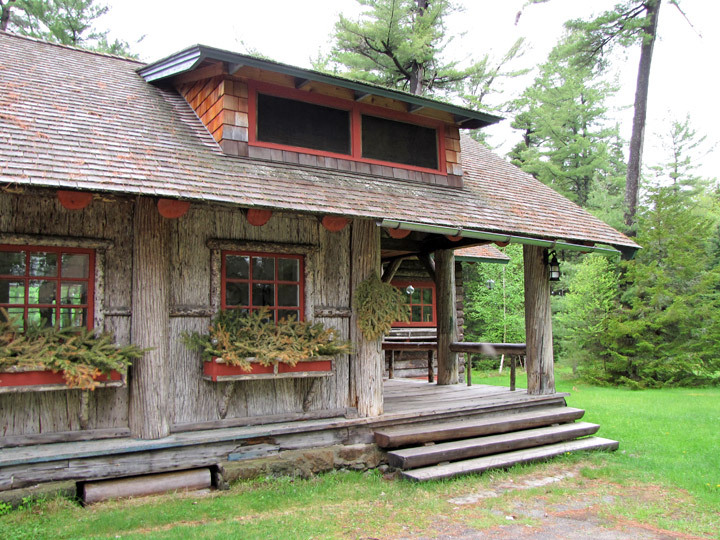 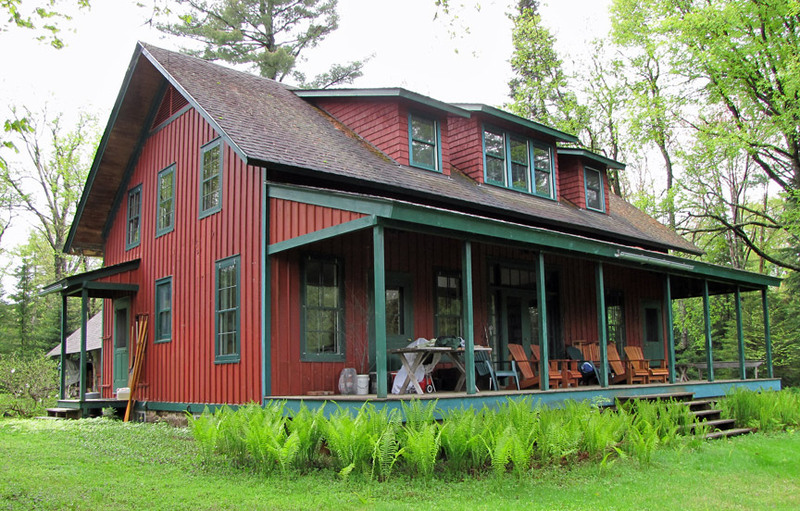 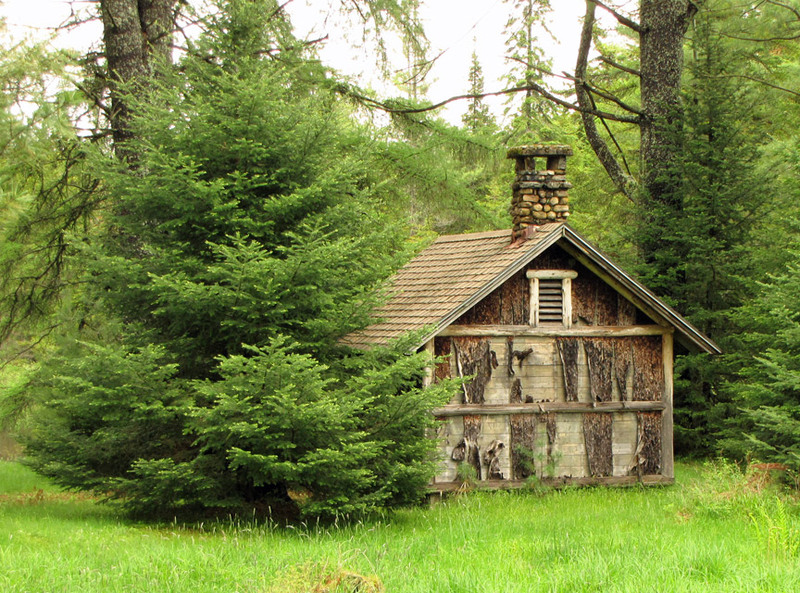 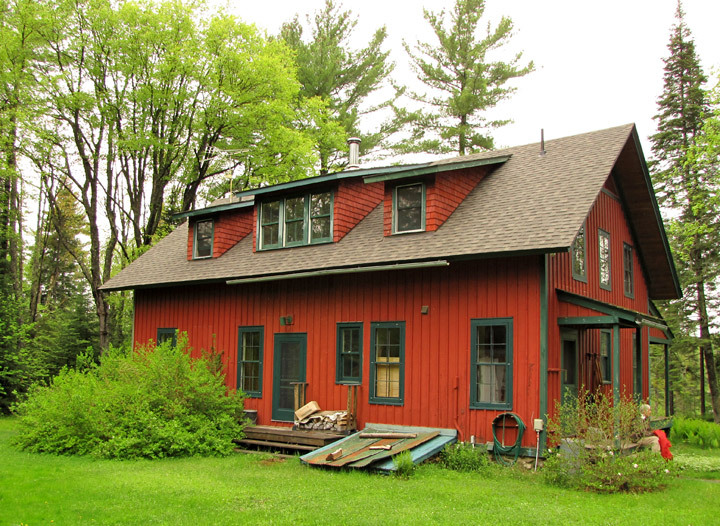 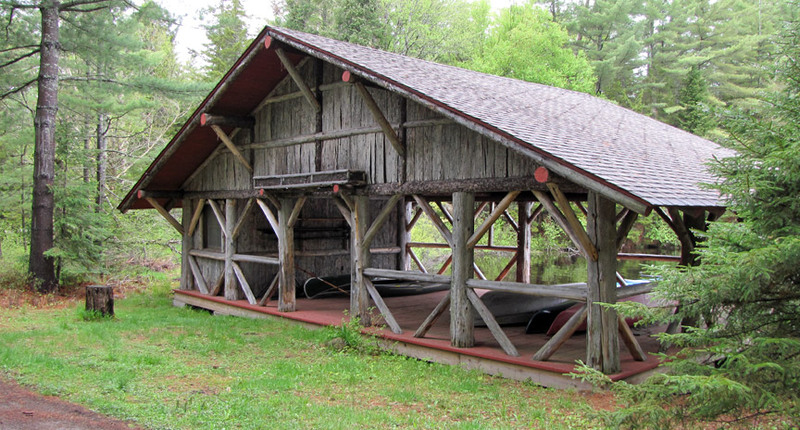 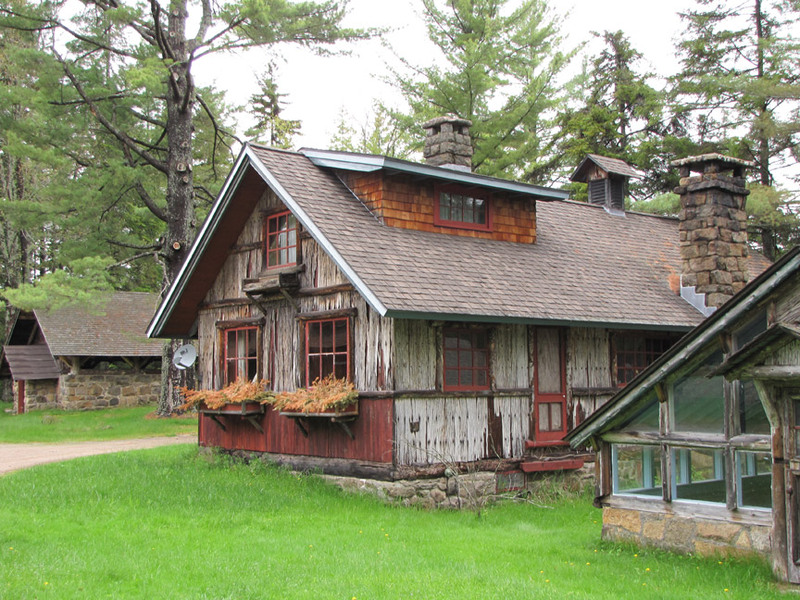 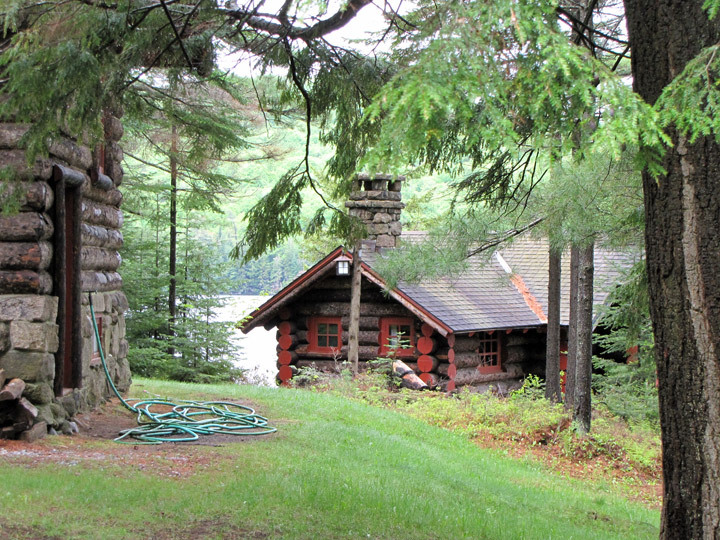 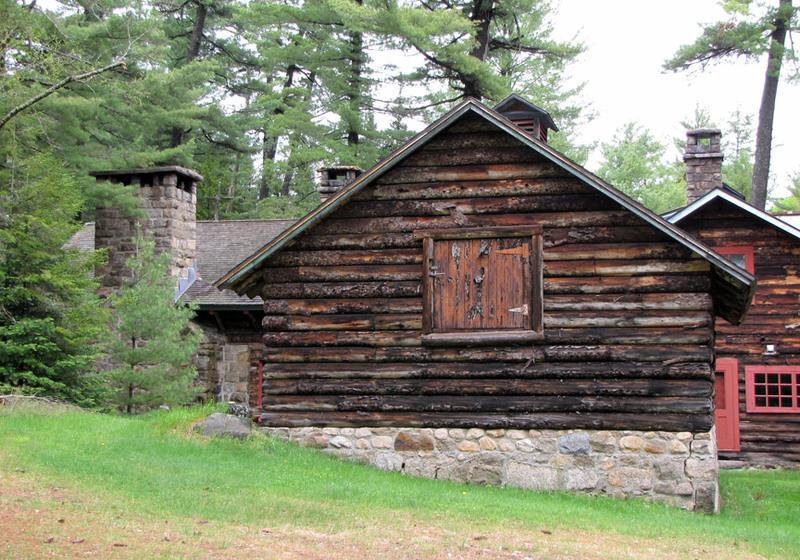 Camp Uncas, begun in 1890, was the second Adirondack Great Camp built by William West Durant for his own use, after Camp Pine Knot, which he sold to industrialist Collis P. Huntington, due to financial difficulties. 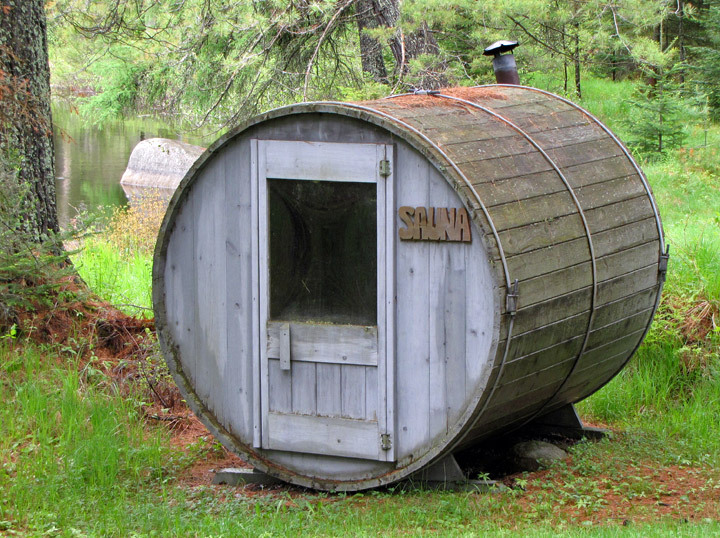 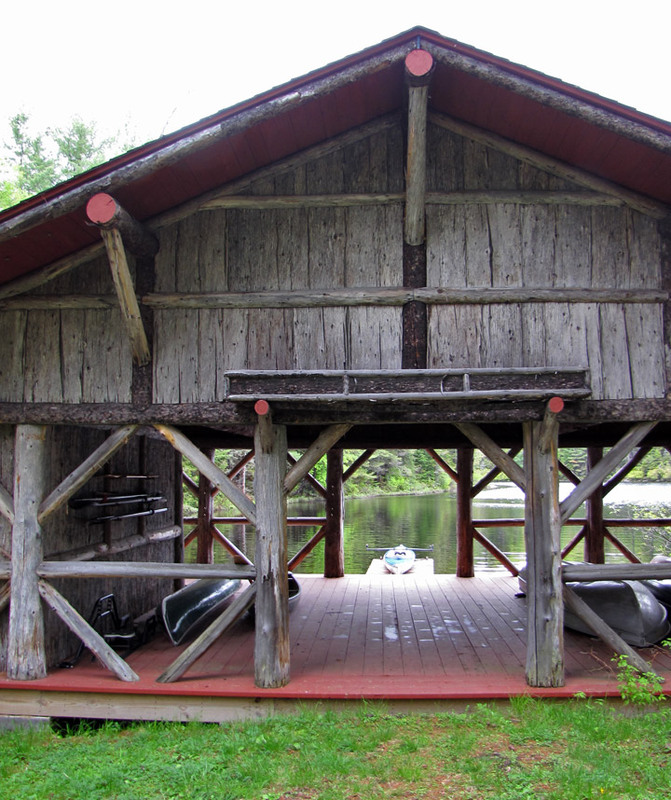 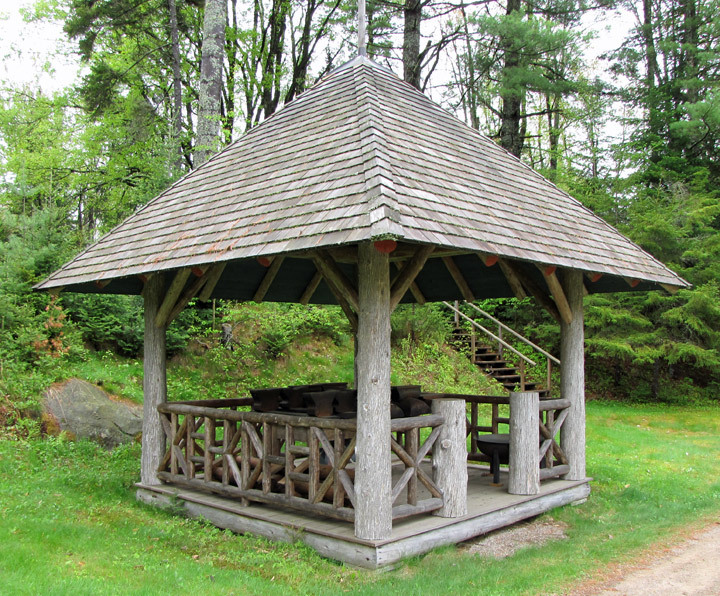 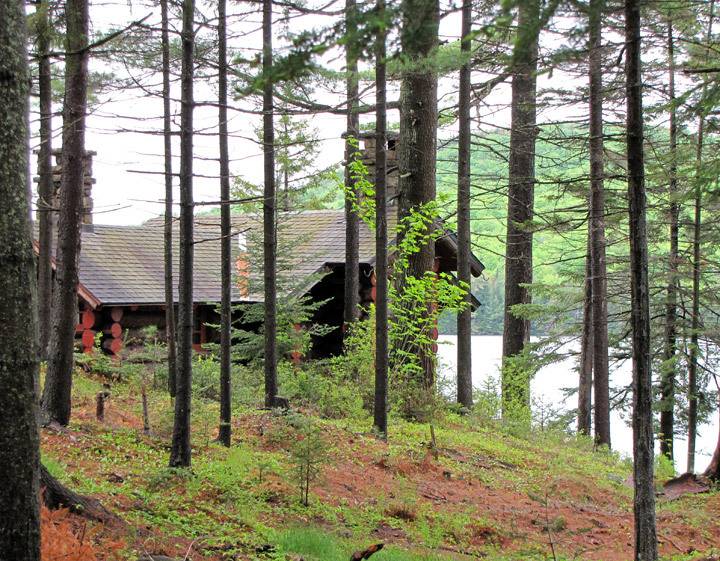 It was built on the shore of 110-acre (0.45 km2) Lake Mohegan, near Sagamore Camp. 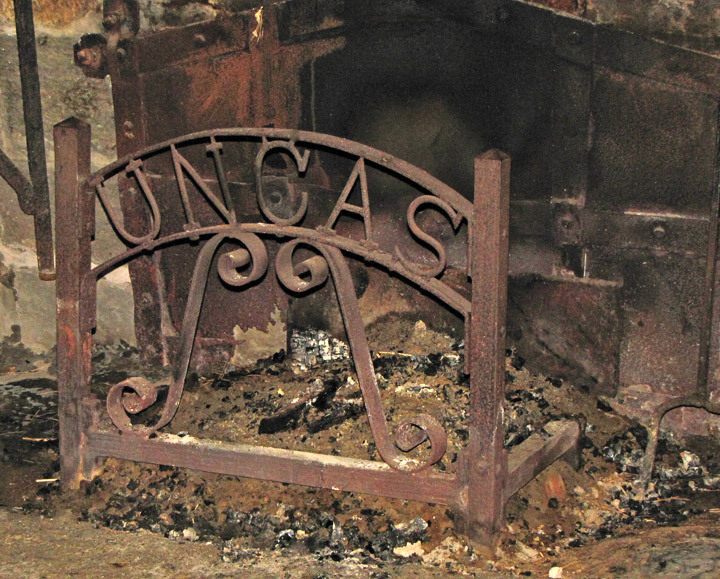 Uncas was completed in two years. 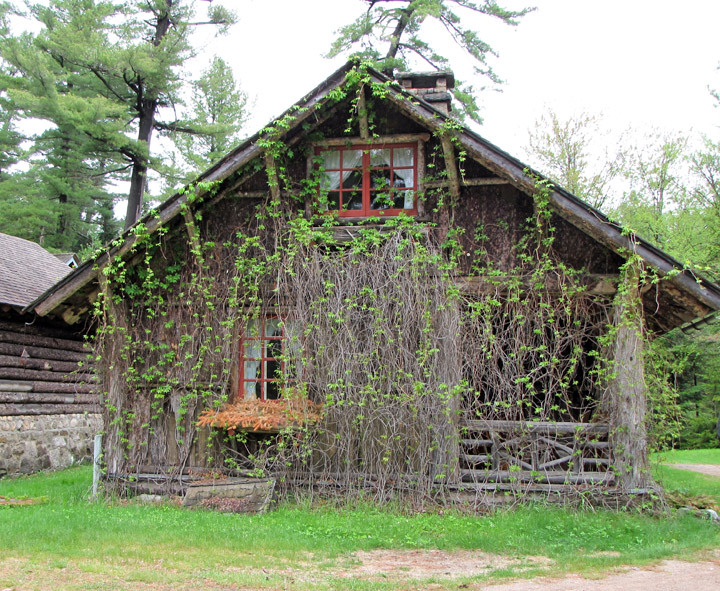 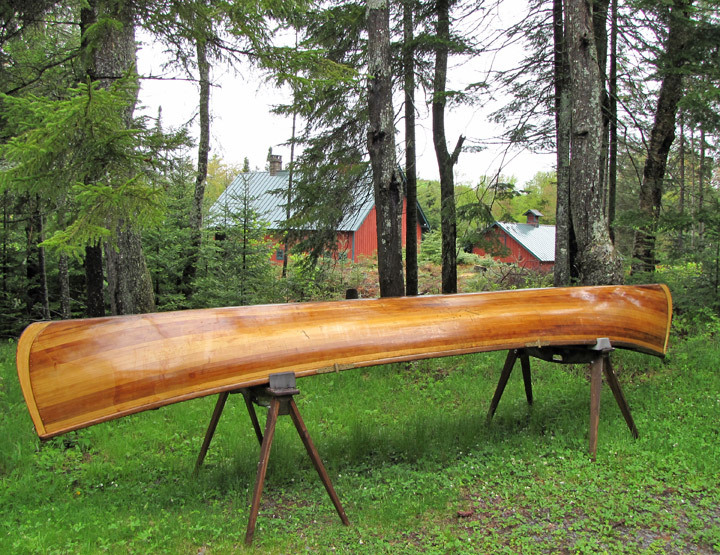 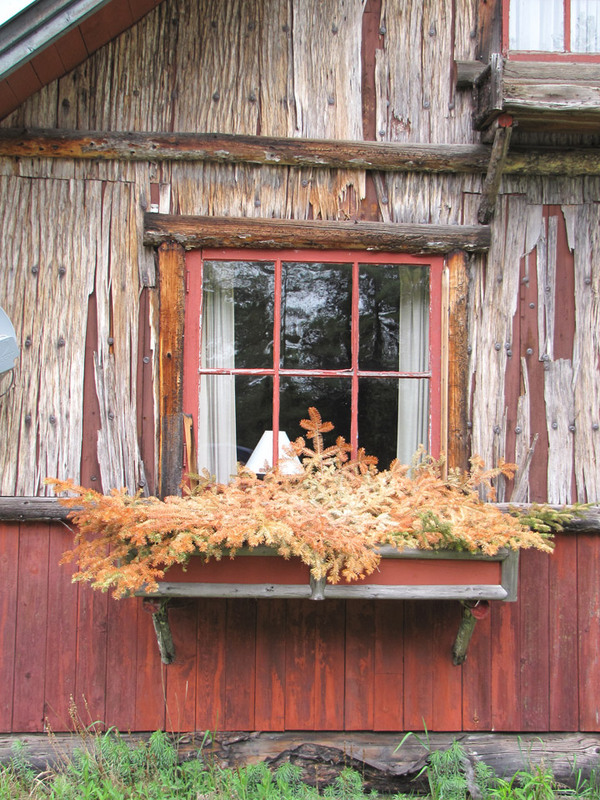 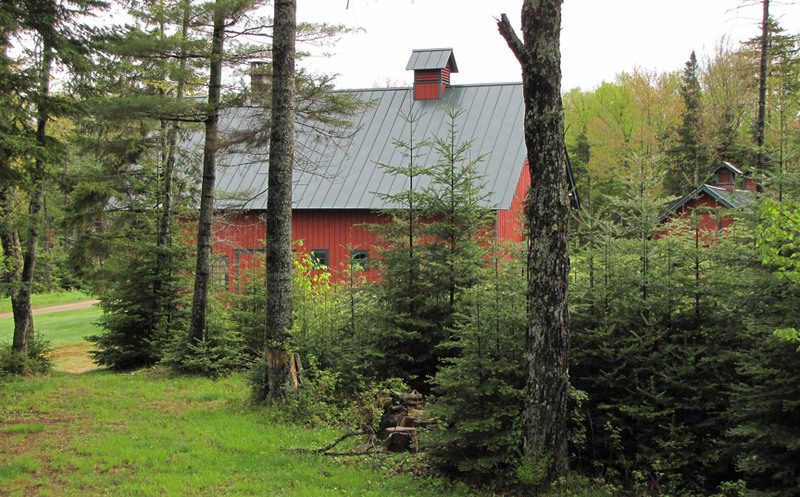 The camp was built of logs felled on the property, and all iron hardware was forged on site. 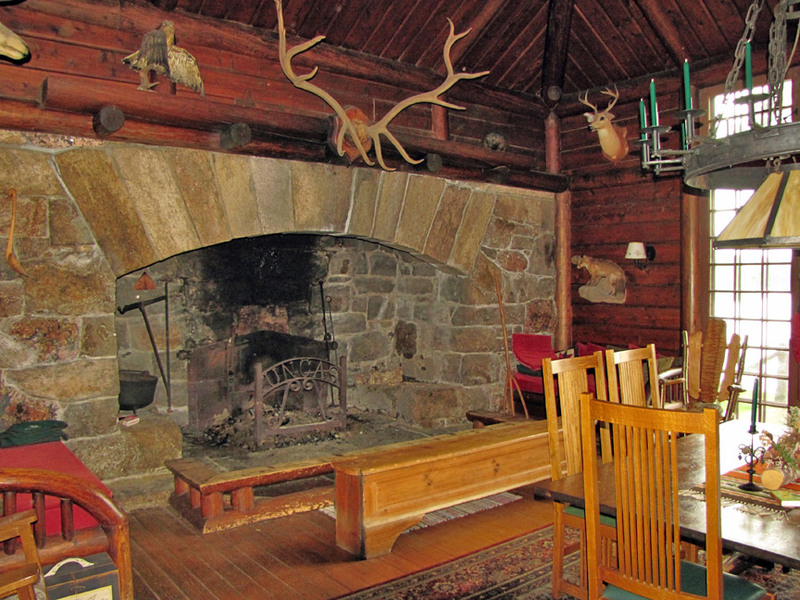 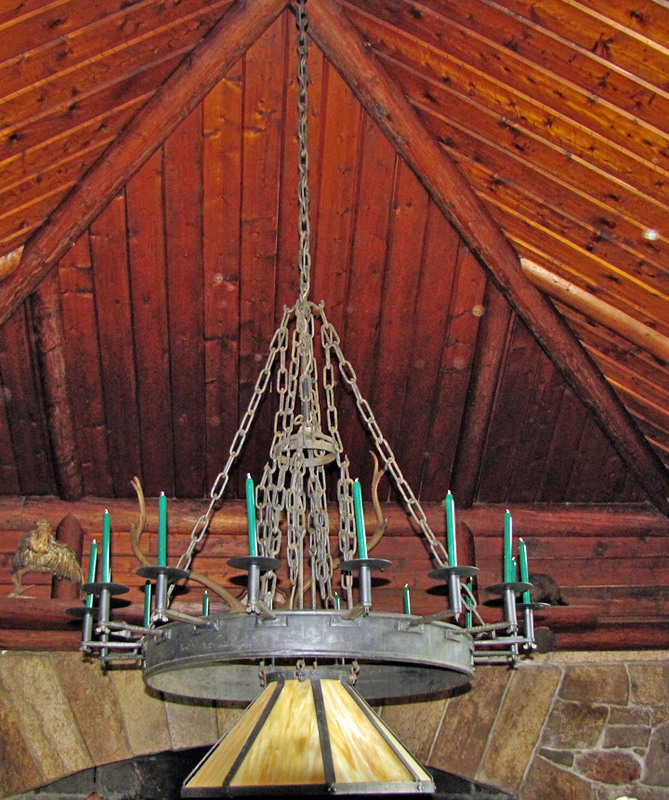 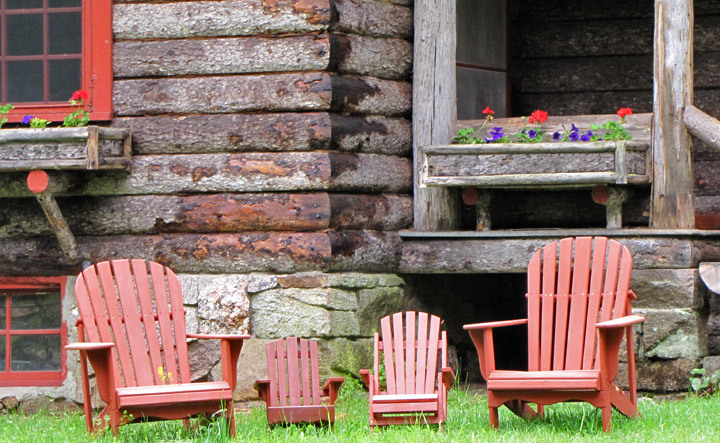 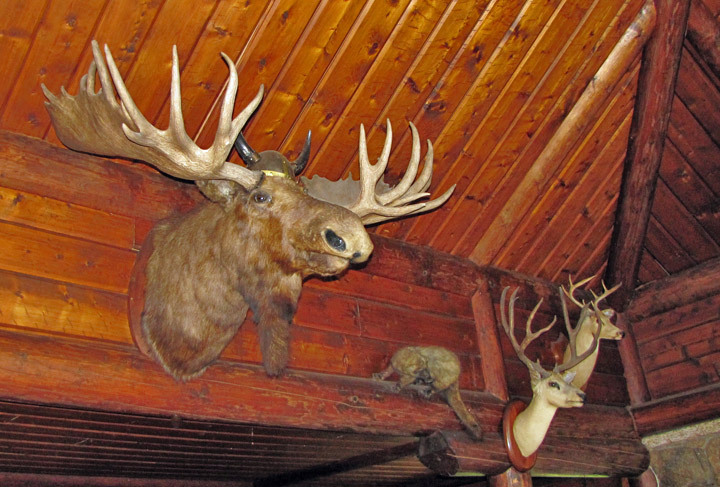 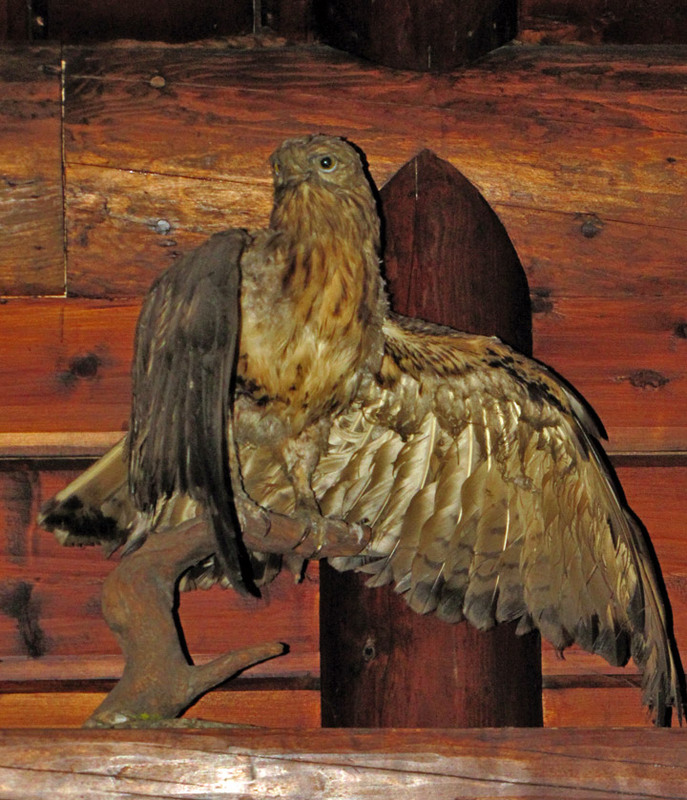 In the main lodge and dining hall, the log construction was unusual in that the logs were not interlocked, as in conventional log buildings, but rather were pinned together at beveled corners. 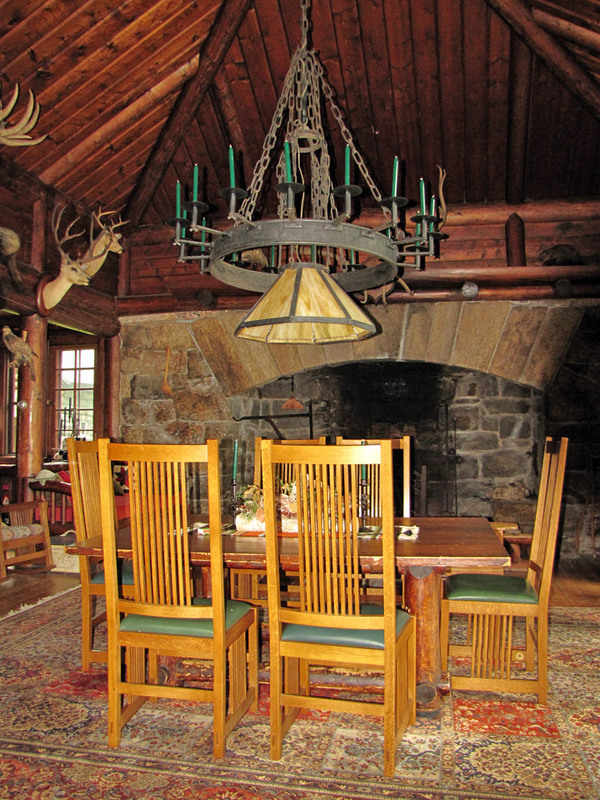 The scale is massive: the dining hall is 24 by 36 feet (11 m), the walls 12 feet (3.7 m) high at the eves with a cathedral ceiling 20 feet (6.1 m) high at the ridge, with a huge fireplace at one end. 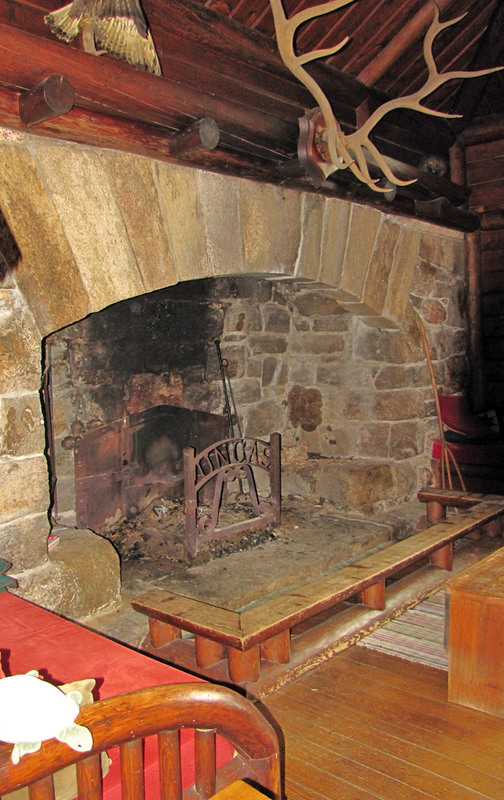 Floors, walls and ceilings were all of polished planks and peeled and polished natural logs. 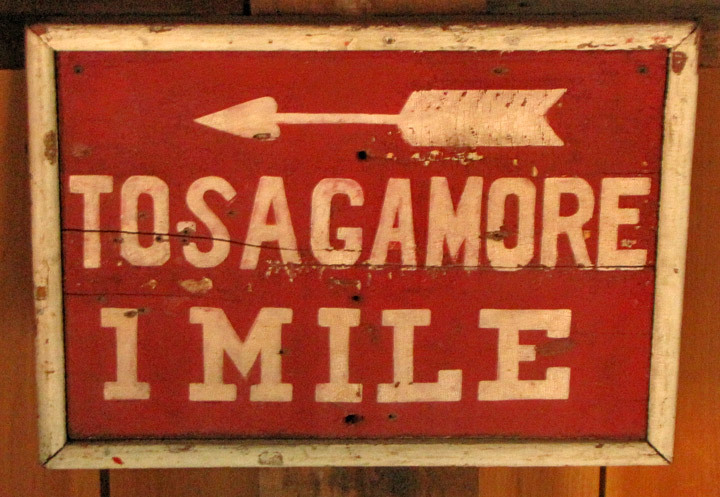 Durant sold Uncas to J. Pierpont Morgan in 1896, with 1,100 acres (4.5 km2). 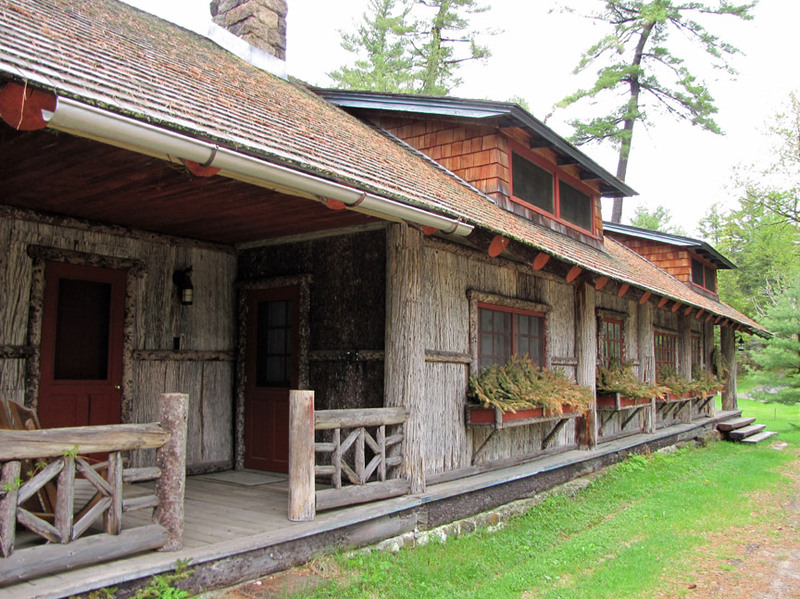 After Morgan's death in 1913, the camp stayed in the Morgan family until 1947, when it was sold to the widow of Alfred Gwynne Vanderbilt, who also owned Sagamore. 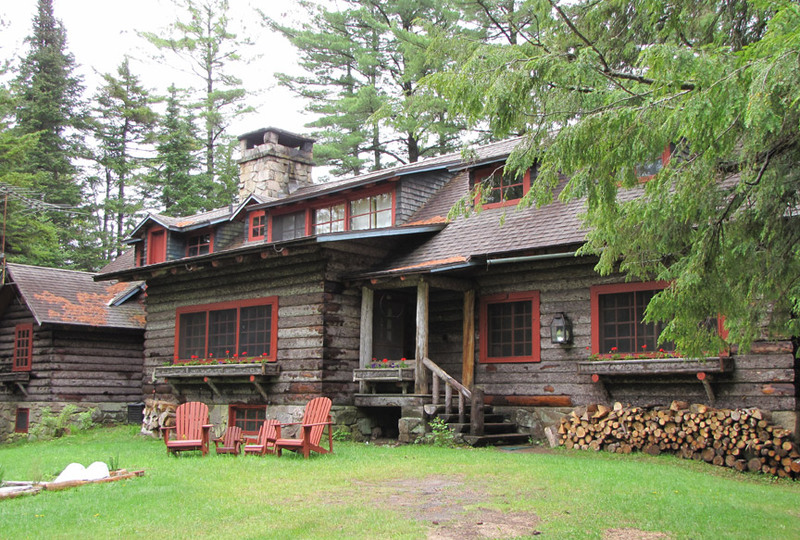 General and Mrs. George Marshall, as guests of Mrs. Vanderbilt entertained Madame Chang Kai-shek at Uncas in 1949. 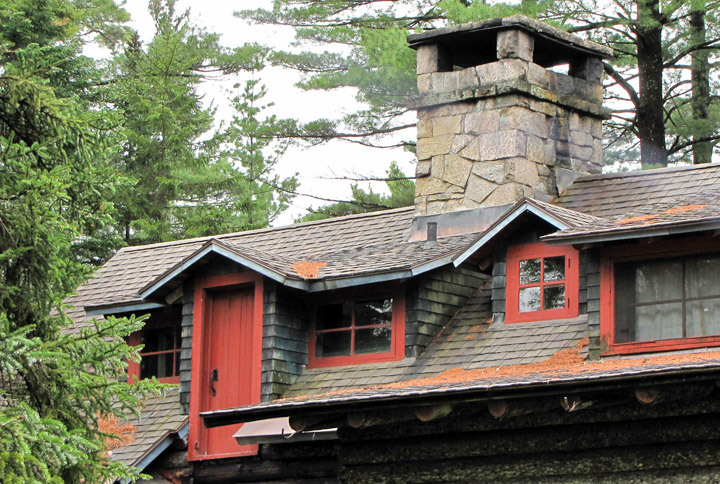 Mrs. Vanderbilt left Uncas to a foundation, which sold it; eventually it was bought by the Rockland County Boy Scouts who used it as a Camp, the scouts sleeping in tents while the leaders reveled in the camp's luxuries. 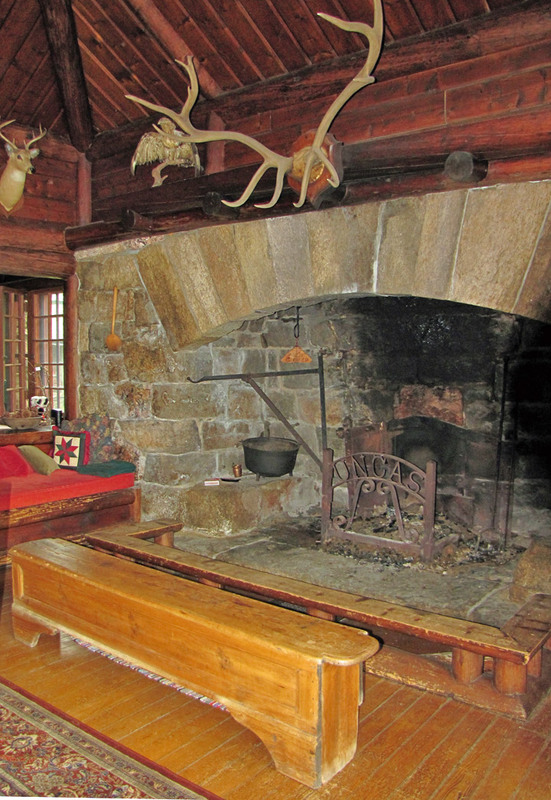 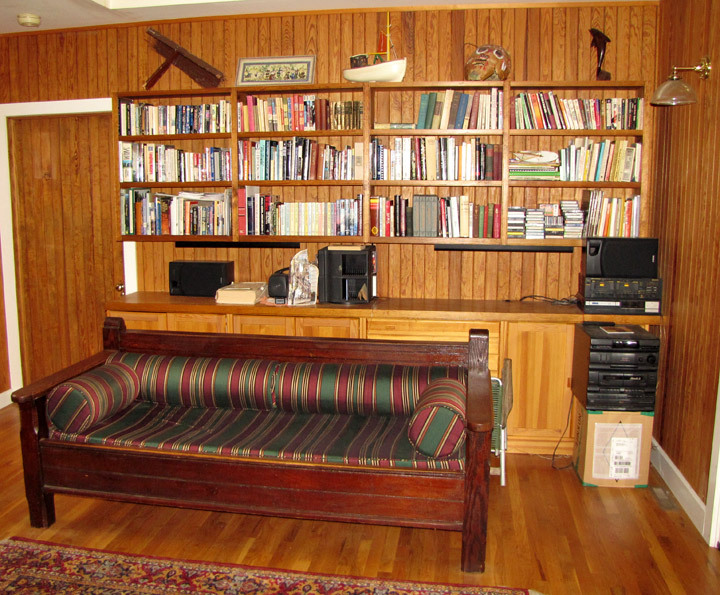 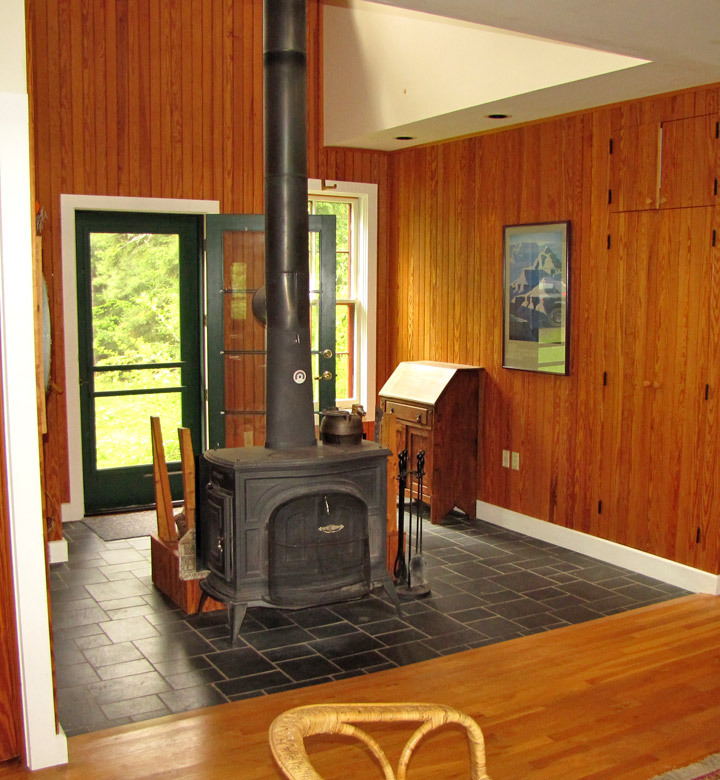 In 1975, it was returned to private use and is presently available for vacation rental. 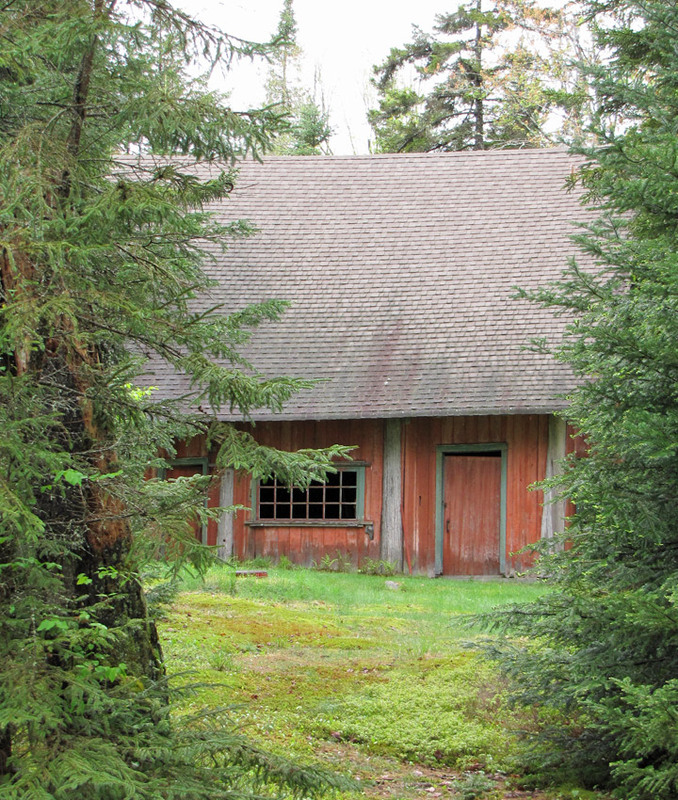 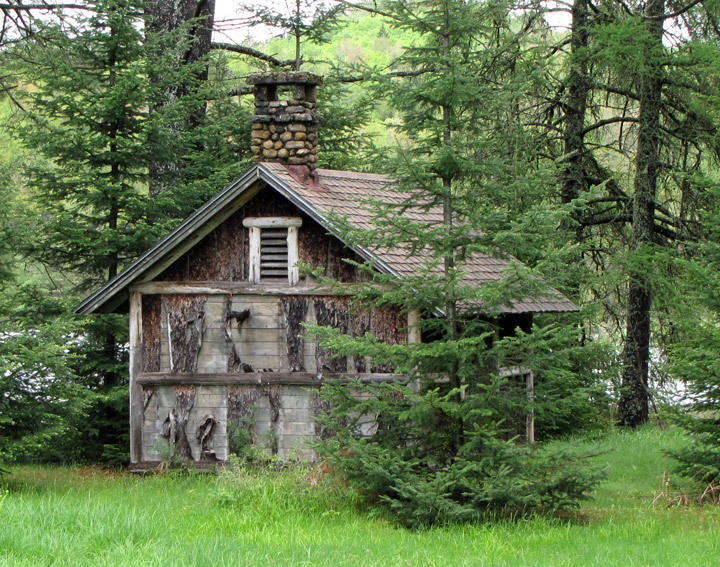 The camp was included in a multiple property submission for listing on the National Register of Historic Places in 1986, and was listed there in 1987. 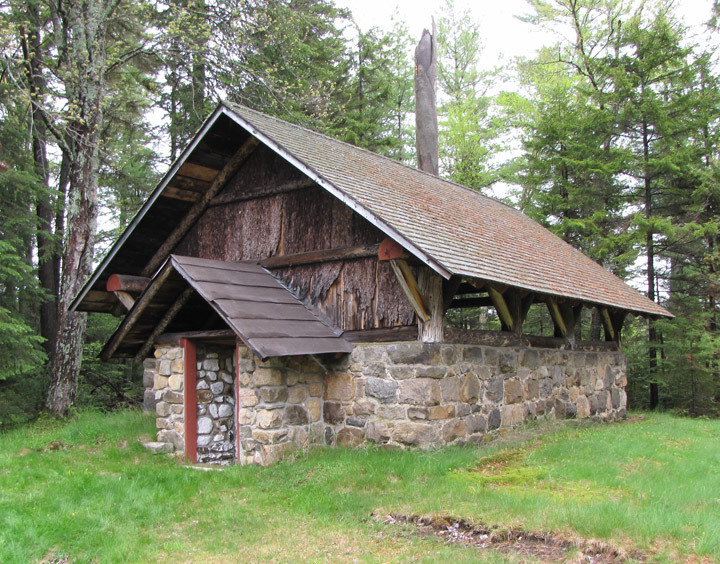 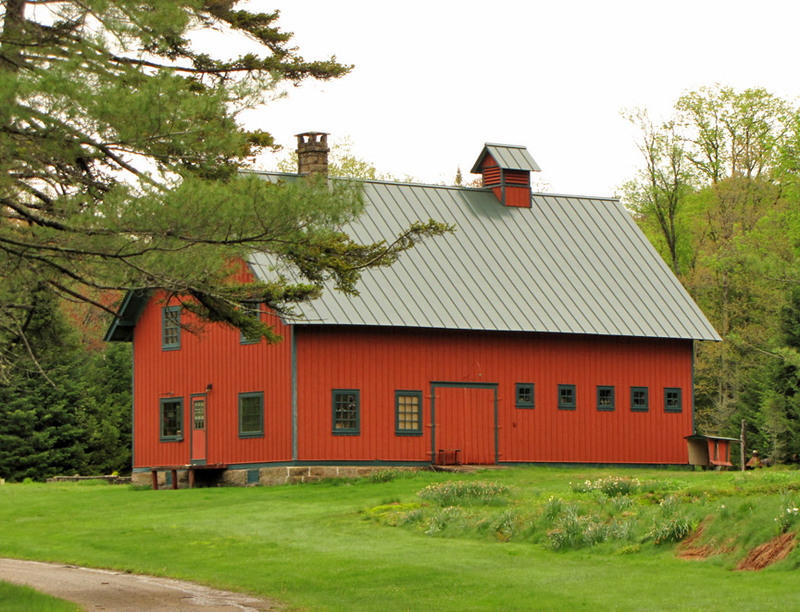 The camp was designated a National Historic Landmark on October 7, 2008.